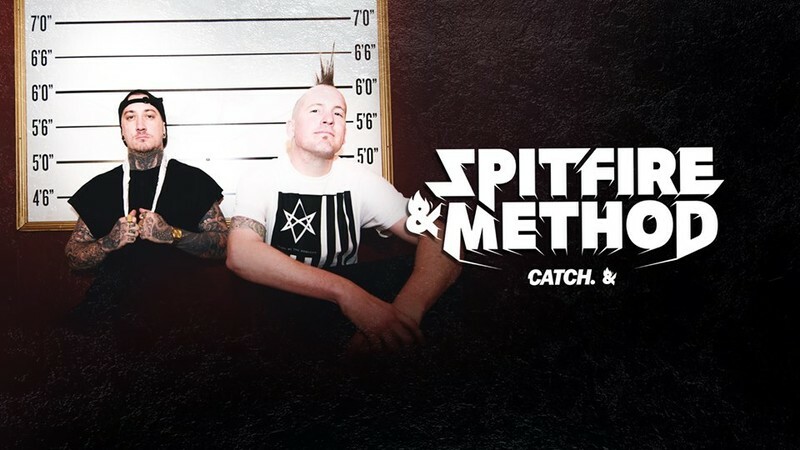 Cementing their solo spots at the top of the entertainment hierarchy, Spitfire and Method bring their game with sheer…fire. Erupting parties with nothing but turned up intentions, the Brisbane based DJ and MC pair have well and truly paved a road fit for the two of them. Reigning a meteoric rise to dance floor supremacy, Spitfire has fed hungry crowds on the mic the last decade across the east coast, repping trap, mash up & dance beats, while New Zealander DJ Method has rolled out the finest in hip-hop and commercial belters, together emerging as a supercharged pair. Across the country, MC powerhouse Spitfire has menaced the late Big Day Out and Sprung Hip Hop festivals, while igniting shows alongside Hilltop Hoods, Naughty By Nature, Fat Joe and 360. DJ Method with a signature knack for scratching and a good dose of turntablism has seen himself on the same bills as DJ Yella and Allday to name a few. Forcing the intersection of infectious, belting beats and vocal takeovers, the Spitfire and Method power is immediately evident the second they hit the stage together. Keeping Queensland party crowds fulfilled with their savage AF energy and sweat driven fusion of pop, rock, hip-hop and electronic drops tying in a feast of live instrumentals, drums, samples and all-round fire, the rest of the map is in for a treat.